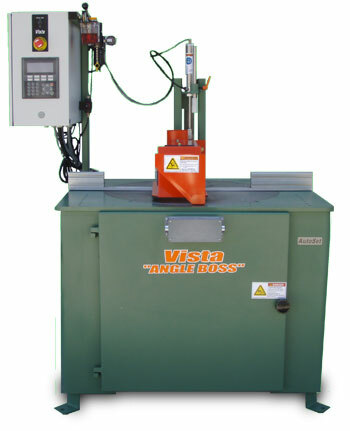 Model MB-18 "ANGLE BOSS" Cut Off Saws are capable of bevel cutting up to 45 degrees to the left of 0 in addition to miter cutting up to 75 degrees left or right of 0 ( 90 degree cut). Any combination of the miter & bevel settings can be used to produce compound angle cuts. Hydro-pneumatic control of cutting speed.